Much like the roof, windows, and doors, your siding and gutters play a key role in the aesthetics of your home and can help increase its resale value. Getting new siding and gutters is not only a great way to instantly refresh the look of your home, but they can also add to the longevity of your home by protecting it from the unpredictable Nebraska weather. Without the proper installation of both, however, your home could easily sustain water damage. Siding for a home may be formed with horizontal boards, vertical boards, shingles, or sheet materials, and we offer sidings in aluminum, vinyl, aluminum wrap for wood, fiber-cement, and cedar, so you have great flexibility to match the intended style of your home. Regardless of style used, the main challenge is to avoid wind and rain infiltration through the joints. At Exterior Remodel & Design, our siding experts have years of experience working with every kind of siding to ensure your home is well-protected from the elements. When it comes to repairs, our specialists are also adept at spotting minor problems before they develop into costly affairs. Gutters are important for directing rain water into lateral piping that takes water at least 5 feet away from your home’s foundation. This helps prevent catastrophic home damage resulting from excess water. Our contractors have developed an in-depth study to take every variable into account before offering a solution that’s unique to each home and its surroundings. We also offer high-quality aluminum, copper, and seamless gutters, so you know your gutters will perform without issue in the unpredictable Nebraska weather. If your home has several large trees nearby, you may also want to take advantage of our gutter toppers, leaf exterminators, and gutter-RX to keep your gutters free of leaves and other debris. Our contractors at Exterior Remodel & Design are experienced in installing siding and gutters and can help you with every last detail. They can examine your home and damages, write-up an estimate, and even walk you through the insurance process to help ensure that you get all of the repair and replacement costs covered. If you need new gutters or siding in Omaha or Lincoln, you can trust Exterior Remodel & Design for the highest quality installation or repair. Exterior Remodel & Design offers the best prices for commercial and residential roofing repairs and installations in the Omaha area. Contact us today for a free estimate! 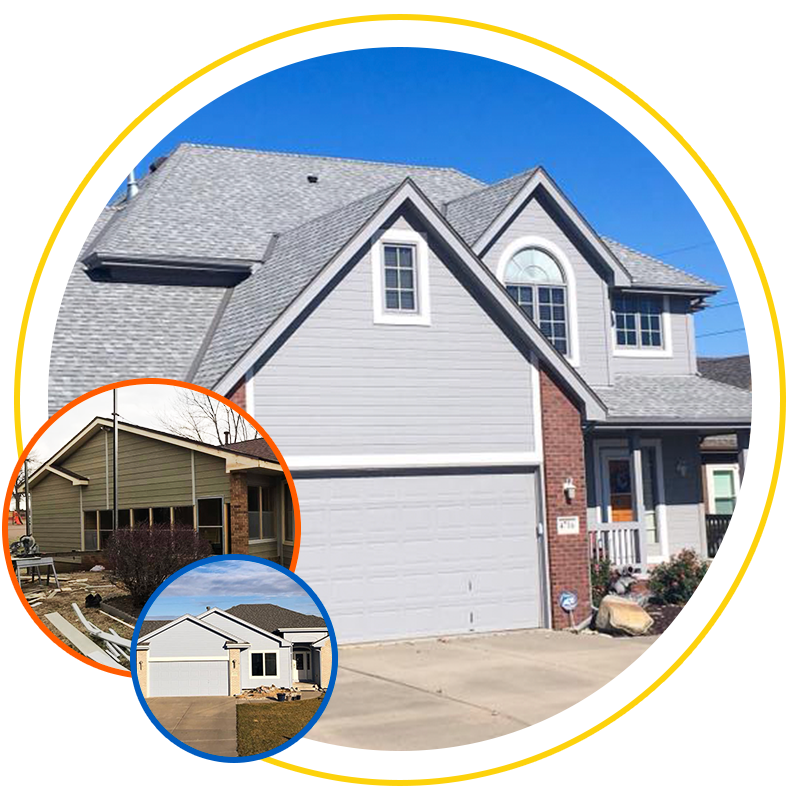 If you live in the Omaha or Lincoln areas, call or send us a message today to learn more about our siding and gutter services, as well as to get your free estimate.